Today is the final day of the February administration of the California Bar Exam. Statistically, California has the most difficult bar exam, and it is one of only three states with a full three-day exam — eighteen hours in all. The bar exam is only administered twice a year. Most applicants take the exam at the end of July (after graduating in May). The February exam has some first-time takers that either graduated a semester early or chose to postpone the exam after graduation. However, there is a larger percentage of “re-takers” in February. I have been in contact with several applicants this week — both first-time takers and re-takers. They are all holding up, and I am proud of them. I will be happy for them all this afternoon when the marathon exam comes to close, but I say from experience, the test-takers will be the happiest!!! Best wishes for success to all of our applicants. Yesterday was a busy day in the School of Law. The afore mentioned APIL live auction took place at lunch which over 70 participants. After the auction, the atrium was graced with an elegant grand piano delivered graciously from the home of School of Law benefactor Herb Nootbaar. 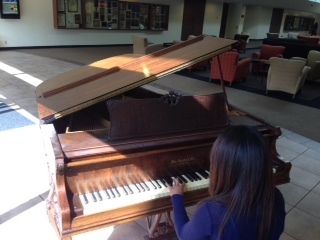 The piano has already added a degree of sophistication and class to the atrium with several students taking some time to play classics from Tchaikovsky and Bach. APIL Silent Auction: Let the Bidding Begin!!! The silent auction is up!!! There are 75 impressive items, with minimum bids ranging from $5 to $5,300!!! Please go HERE to see the auction items. Bidding begins at 6am PST tomorrow (Wednesday, February 26) and runs through March 9. Please share the link with all of your family and friends. The money raised from this auction goes to help financially support Pepperdine students work this summer in unpaid, public interest jobs all over the world! Under the great leadership of Dean Selina (Farrell) Brandt, our Career Development Office (“CDO”) does a terrific job of introducing our students to a wide variety of career paths. Each week, the CDO hosts (often multiple) presentations that introduce students to practitioners and provide insight into what it is like to work in specific fields of law. Today, for instance, the CDO is hosting an Environmental Law panel. Those who attend will hear from Rebecca Couch Barnhardt from Jeffer Mangels Butler & Mitchell; Michelle Black from Chatten-Brown & Carstens; Dave Burhenn from Burhenn and Gest; and Laurine Tuleja, Administrative Law Judge. Click HERE to meet the hard-working staff of the CDO. Bar Review Tabling this week! Bar Review Week is an annual event where the law school authorizes various bar review companies the chance to interact with our students. The students are pursued (bribed) 🙂 by being gifted everything from candy, pens and free study guides all while having the chance for awesome raffles of iPads and more. 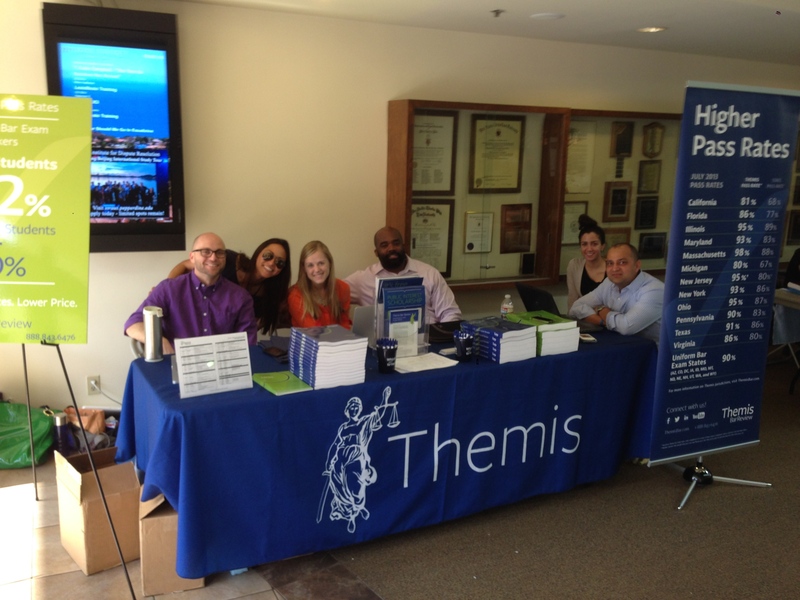 This year we have representatives from BarBri, Kaplan, BarMax, Themis amongst others. The representatives from the respective groups work from 10am until 2pm to speak with students about why their respective resources are the best…not surprisingly, it’s a very competitive market. Advocates for Public Interest Law Auction Coming Up! Advocates for Public Interest Law (“APIL”) is a Pepperdine student organization that hosts one of the annual landmark events at the law school. The “APIL Auction” is an event that raises funds for our students working in unpaid summer public interest jobs. It is a fantastic cause, and the auction itself is great fun, too. This year, for the first time, we are dividing the live auction and silent auction into separate components: The “live” auction will take place one week from today, and the “silent” auction will now take place online. I have the honor of serving as auctioneer for the live auction where students have the chance to bid on unique items donated by professors, like “bowling with Professor Larson” and “going on a flying trapeze with Professor Schwartz.” (Again this year, I am donating a trip to Santa Anita Race Track for a day of horse racing — last year pictured above!). The silent auction will offer a wide range of unique items such as vacation packages and sports memorabilia. The silent auction will begin on February 26 (one week from tomorrow) and run through the School of Law Dinner on Saturday, March 8. Please consider bidding on items in the silent auction to support the good work our students will be performing this summer all over the world! It is fun to read a random sports article in the L.A. Times and stumble across a reference to an impressive colleague! Go HERE to read the article from last Wednesday that cited Professor Babette Boliek. 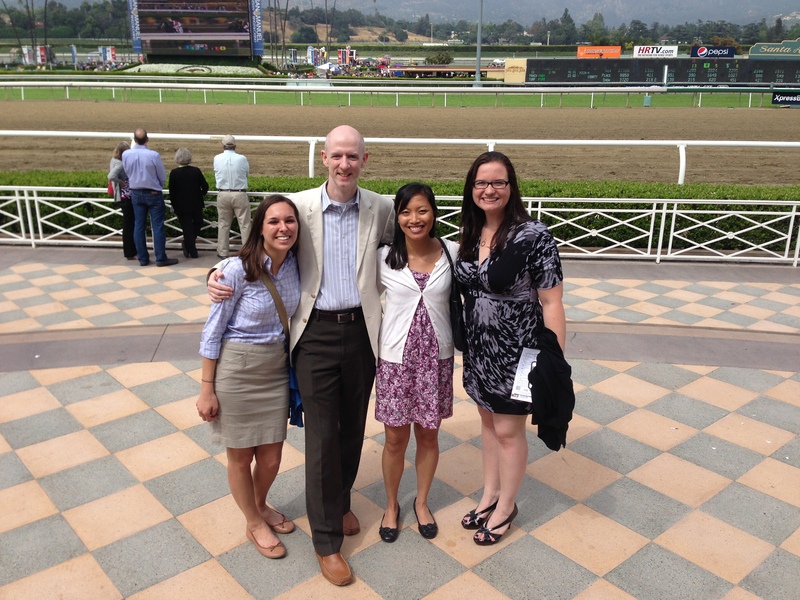 Professor Boliek taught Contracts to one of our 1L sections (Section B) last semester. Today was a really cool day with lots happening at the law school. Amongst several events, I had the privilege of welcoming 40 high school students from Palmdale, CA. The group was part of the Highland High School Government Academy program which exposes students to various components of State and Federal Government. 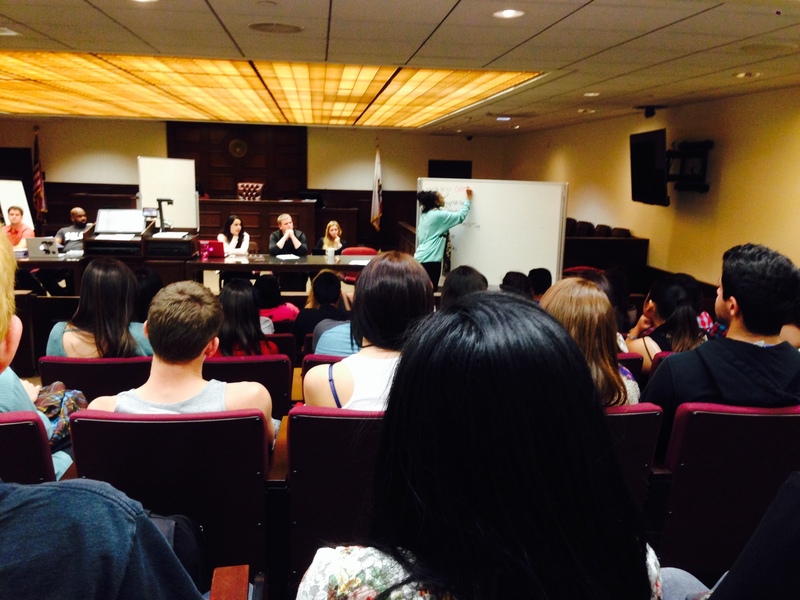 Today, the students got a chance to meet future government policy makers and future lawyers! The day included an amazing mock trial experience where the students got to hear opening and closing remarks from our #1 trial team as they prepare for a national competition. The students were really impressed with the oral advocacy skills of our teams and also came away encouraged that one day it could be them up arguing before the courts. After a campus tour and lunch the students also heard from Professor Chris Goodman and 2L’s Anthony Ellis and Ben Moreno. The three of them discussed “DeMystifying Law School” and the process leading up to it. After a few minutes of Q&A, we sent them on their way with some awesome Pepperdine swag and information about the school. Fun day here at Pepperdine Law!!! Tomorrow (1:40pm, Friday, February 14), everyone is invited to join our 1L class for an event featuring Shon Hopwood, Gates Scholar at the University of Washington School of Law, and author of “Law Man: My Story of Robbing Banks, Winning Supreme Court Cases and Finding Redemption.” Following the event we will be hosting a book signing in the atrium. Shon’s travel to Pepperdine and his speech was made possible by Pepperdine’s Student Chapter of The Federalist Society. Shon’s story is rich in details about crime, punishment and redemption. It is also one of Christian faith, told in the book and briefly explained by Shon and his wife Annie in their testimonial about rebellion, sin and death. You can also hear more about Shon and his path to a DC Circuit Clerkship in this 12 minute NPR story The Incredible Case Of The Bank Robber Who’s Now A Law Clerk. 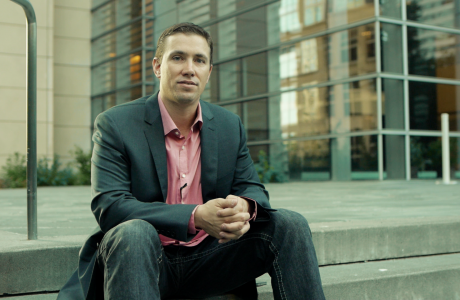 Growing up in a small town in Nebraska, Shon Hopwood is a good kid from a good family, a burgeoning basketball star whose parents have started a local church. But when the basketball cheers fade and his attempts at college and military service don’t pan out, he feels trapped in a life of everyday sameness. When his equally adrift best friend suggests robbing a bank, it seems like a way to relieve the boredom, make something happen. Shon commits five robberies in all before he is caught and sentenced to a dozen years in federal prison. At twenty-three, he fears his life is over. Law Man is a memoir of an impossible-but-true comeback. Shon movingly describes his descent from basketball star to bank robber, followed by a decade in a maximum-security prison. Mortified by the crimes he’s committed, buoyed by the comradeship of others, and comforted by encouraging letters of support from the townspeople he’s left behind, Shon vows to survive prison and make amends. First, though, he has to survive the gangs, learn the ways of prison violence, and find a way to tamp down the smoldering resentments that flare on the cellblock or out in the “yard.” Two factors prove his salvation. The first is a job in the library, which inspires a vision of one day becoming a paralegal, maybe even a real lawyer. The second is the totally unexpected interest shown in him by Annie, a beautiful girl from his Nebraska town. Shon uses his skill for practicing law to save his fellow inmates by writing appeals. Then, a fellow inmate asks Shon to write a million-to-one petition to the United States Supreme Court. Eager for a challenge, he promises to do his best—and from the bowels of a prison and with no formal legal training, he embarks on an unlikely career as perhaps the best jailhouse lawyer in American history. He carefully constructs a hugely complicated “cert petition” that asks the Supreme Court to take notice of certain legal anomalies in his friend’s case, irregularities no one else has noticed. And by the time Shon walks out of Illinois’s Pekin Prison a decade later, he’s pulled off a series of legal miracles and won the gratitude of innumerable inmates. Studded with against-all-odds legal maneuvers as well as attempts by Shon to coach Annie through successive bouts of anorexia and see his dad through a downward cancer spiral, Law Man fires the mind and touches the heart.